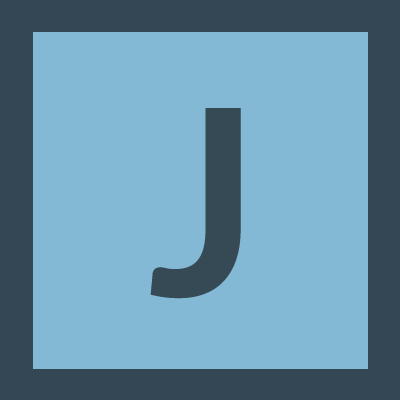 Jigsor added a comment to T124949: missing script commands getVehicleRadar - getPylonLoadout. Very much could use a getter for setPylonloadout as GrumpyoldMan suggested "getPylonLoadout could return an array holding all pylons and their respective assigned turrets". Jigsor added a comment to T124835: Debug Console Security Changes. Further to clarify which editor I am talking about. 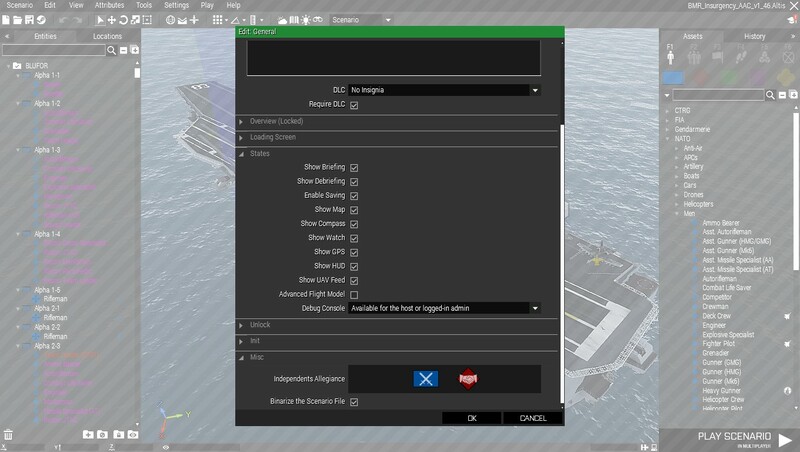 SP editor/main menu editor button. MP editor - from main menu click host server button on top then host server button in the middle of screen then select existing editable mission then 3D editor button or select <<New - 3D Editor>> from mission selection list. BTW -filePatching is not enabled if that makes any difference. OK, so debug console is working in sp editor but, why is the console ui incomplete in mp editor. It used to work in mp editor. Why does mp editor indicate running mods when in the same instance without restart sp editor indicates no mods (icon grayed out). Jigsor added a comment to T125827: Unable to get into 2D mp editor. Not true. I've been using 2d mp editor up until Malden release. I even made new missions with it, then converted to 3d. 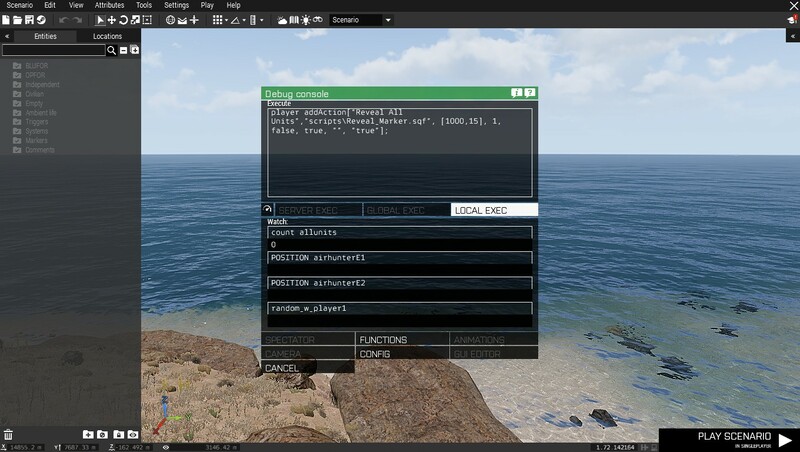 my porting tools use arma.net extensions and exporter script export to 2d. I can bypass the need to have 2d editor and script some of the steps needed to port my missions to new terrains by updating my gribuilder script to use new 3den commands. 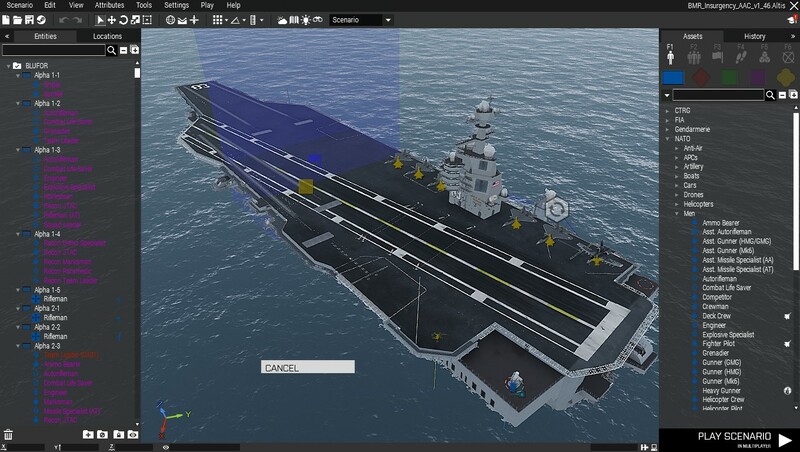 But, unfortunately debug console access in 3d editor is broken for me since Jets dlc. described in another ticket. Both of these problems have resulted in a complete halt in my mission porting development. Jigsor created T125827: Unable to get into 2D mp editor. Jigsor added a comment to T125033: Planes accelerate on ground with engine on and open dialog/menu. I have the same problem. Please fix. I agree that Gnashes solution would be best. I do not want to publicly release all my admin's UIDs by including them in description.ext which is downloaded by anyone joining our server. Jigsor created T124991: BIS_fnc_garage not adding moded vehicles to virtual garage display. Jigsor created T124988: Cannot create Debug Console. Jigsor added a comment to T124374: Missile Lock on Sound Bug. "Disable Audible AI Radio?" to "Yes"
Jigsor added a comment to T124379: Chat box disappearing when dying. I can confirm this happened to me today for first time even with OPTIONS - GAME - STREAM FRIENDLY UI : dissabled. Has been happening since 1.68 for others in server.